You need a partner who is dedicated to working with you, and that understands your business and the trucking industry’s dynamics. Working with UWT gives you that partner, and on top of that, one who will perform all the sales functions for your business. We specialize in matching carrier equipment with the right load at the right price. Our objective is to minimize your downtime of waiting or looking for loads and keep you doing what you do best: transporting goods. You will have access to new markets, more freight and variety of loads through leveraging our sales personnel, financial capability, IT resources that manage customers’ electronic TMS systems, and customer required EDI integration. Realize an increase in cash flow. We provide driver-focused fuel advances and short payment terms; invoices can be settled via check or wire transfer with various terms offered. Advances can be arranged using Comchek or TChek. We pay when we say we are going to pay. We understand that cash flow is critical to business. Please refer to our Carrier Payment Terms for more detailed information. We also offer short term financing for special cases in order to support our carrier partners. All of these factors put you at an advantage over dealing direct, where payment terms are often 30-60 days. The result is more money in your pocket. Partnering with us will also reduce your operating expenses through reducing costs such as cell phone usage and fax transmissions. Our text message and TRANSFLO document processing programs offer low and no costs solutions that keep more of your money in your pocket. Another key aspect of our relationship with carriers is claim mitigation. We work on behalf of our carriers in order to mitigate losses. Read more here. Building and sharing our knowledge supports your success. We provide detailed product knowledge expertise for correct product handling under various conditions. 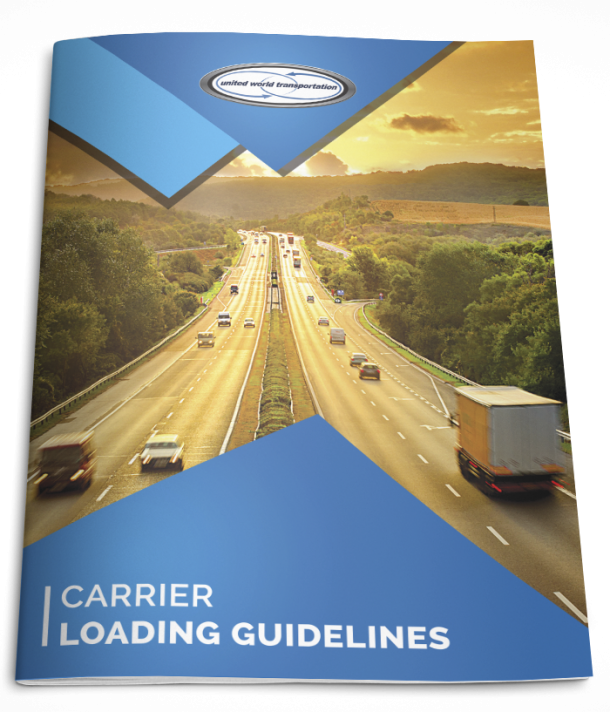 You can download our informative Carrier Loading Guidelines in our carrier forms here. We also provide time and resources for troubleshooting loads (accessing services, paying for services, rescheduling of pickups and/or deliveries, etc.). And, we effectively monitor market conditions and regulations within the trucking sector to keep everyone informed. Leave the scheduling of pickups, deliveries, and cross-checking shipment information (product description, case/pallet count, weight, other loading requirements, etc.) to us. This increases your productivity by conserving your on duty hours for driving. You need a partner who is dedicated to working with you, and that understands your business and the trucking industry’s dynamics. Working with UWT gives you that partner, and on top of that, one who will perform all the sales functions for your business. We specialize in matching carrier equipment with the right load at the right price. Our objective is to minimize your downtime of waiting or looking for loads and keep you doing what you do best: transporting goods. 1. Fill out the Online Carrier Profile Form. 3. Fill out the Carrier Payment Terms Agreement. 4. Download the CARB Compliance Letter and sign. 5. Send these completed forms along with a copy of your Insurance Certificate and MC Number to “Attention: Carrier Relations” at (604) 986-7401, toll free (866) 986-7401, or email carriers. A Carrier Relations Representative will contact you within 24 hours to confirm that your account has been set up. We have some of the best Carrier Payment Terms in the industry. Check out the details! UWT has one of the best claims reputations in the industry! Check out how we work to prevent and mitigate loss. Do you need some more info? Check out our resources and download some of our forms!